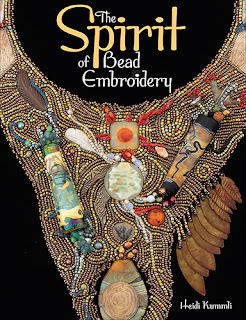 One of my purchases at Bead Fest was a copy of Heidi Kummli's latest book, The Spirit of Bead Embroidery. 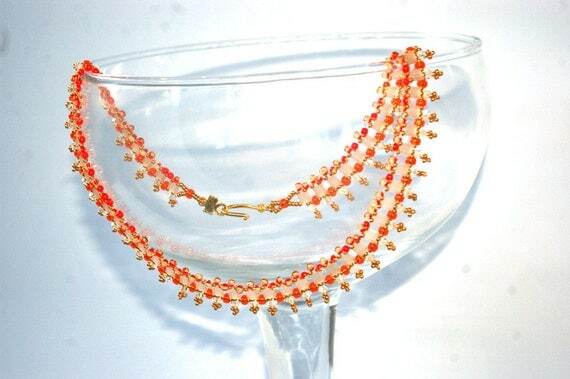 I've been fascinated by Heidi's techniques for bead embroidery and the meanings behind her elaborate pieces of bead embroidery for years, and her book was definitely NOT a disappointment. Heidi gives thorough instructions for all of her bead embroidery techniques, and most of these assume that you have some experience with bead embroidery. The basic techniques section at the beginning of the book is just that - very basic. But, as you work through each of the projects, you get a much clearer set of instructions. Once you've flipped through the materials and basic techniques section, the real meat of the book is all the wonderful information about the meanings and spiritual connotations behind the gemstones, animal symbols and totems, and colors that are used in Heidi's bead embroidery projects. Ever since my experiences with the traveling Buddhist monks earlier this year, I've been more interested in infusing some spiritual symbols into my beadwork. 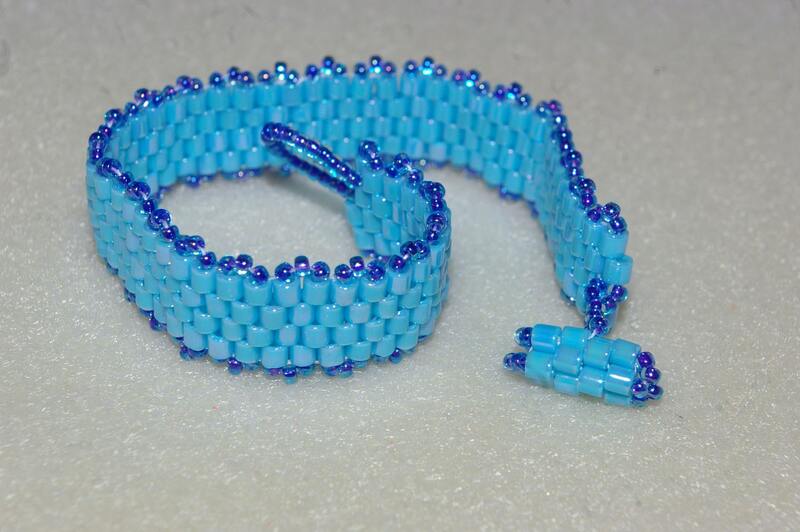 Heidi's book is the perfect introduction for anyone who wants their beadwork to reflect a deeper meaning. I was so inspired by the information and projects in this book that I went out and found a couple of handmade porcelain pieces by Laura Mears that happen to be my totem animals. The first one that I started working on was this gorgeous cougar. I wasn't expecting it to be quite so three-dimensional, but it's perfect, and I love it. The gemstone cabochon in this piece is the one I picked up from Gary Wilson's booth at Bead Fest Philadelphia this year. 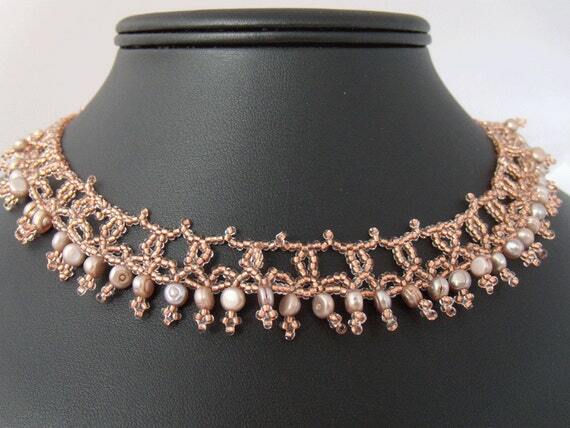 Beautiful and unusual, I felt more than a little guilty smearing the back of it with glue to affix it to the Beadbacking before I started stitching. Same goes for the Laura Mears piece - I felt like I was defacing the Mona Lisa! I can't be the only one who feels like that, right? And, since I wrote this blog really just as a way to procrastinate instead of doing what I should actually be working on this morning, it's time to sign off. Tomorrow: Colden and I are taking some friends to meet up at the Tucker's Taters Corn Maze out in Gabriels. A sunset romp in the maze followed by a bonfire and some s'mores will be just the thing for a lovely fall evening!